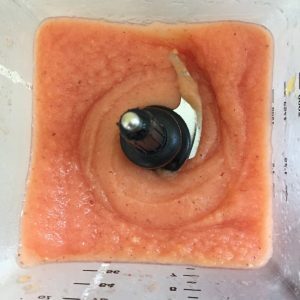 Alex is back at it this week with a Tropical Watermelon Gin Slush recipe from Build Your Bite. We are in love with this one! 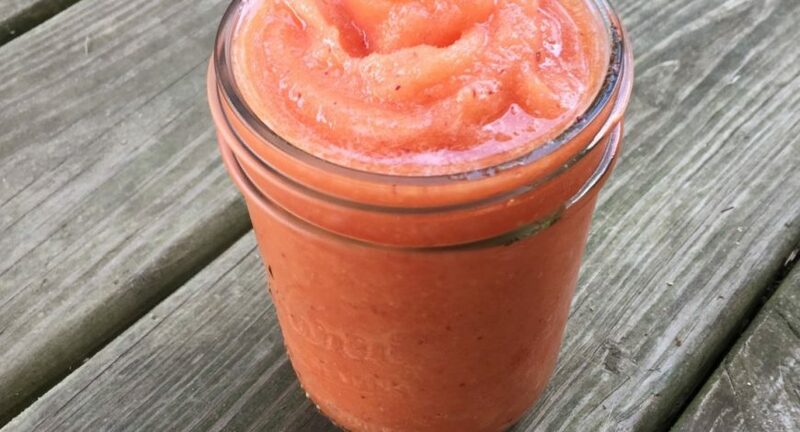 😍🍹 Read on to see how it went for Alex and if she’s got any tips or tricks for those of you trying it at home. If you do try it out, let us know what you thought in the comments below! Cheers! Hello maple lovers! Alex here with another recipe for you! It’s August now, and summer is nearly over, but I wasn’t going to let that keep me from getting in one more summer recipe before time ran out. 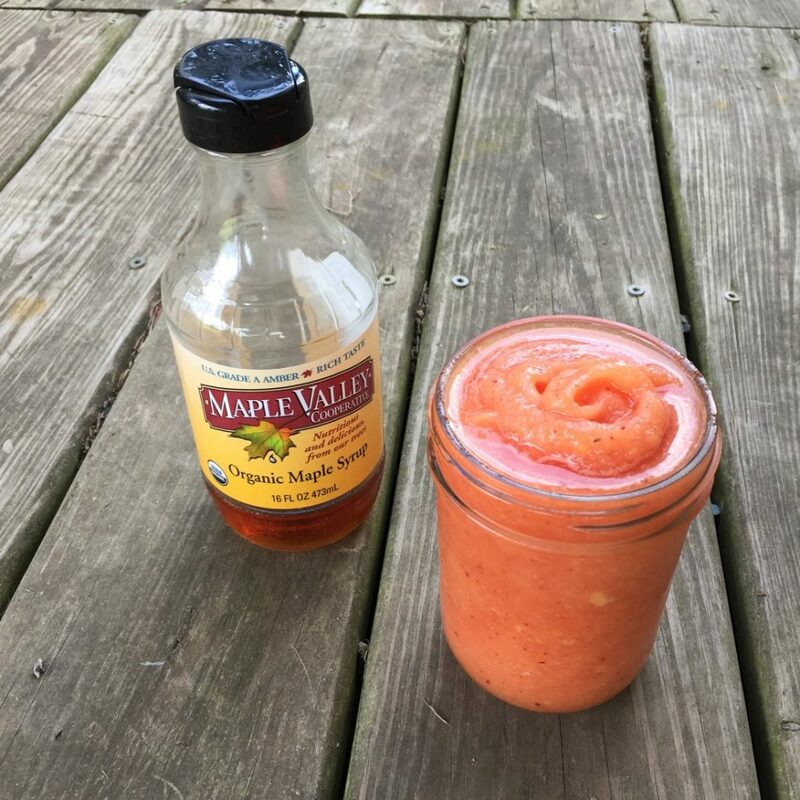 I don’t know if any of you remember the Campfire Sour recipe I did around this time last year, but I thought it might be fun to do another alcoholic summer drink to commemorate a whole delicious year of maple recipes! Maybe I could make it a tradition! 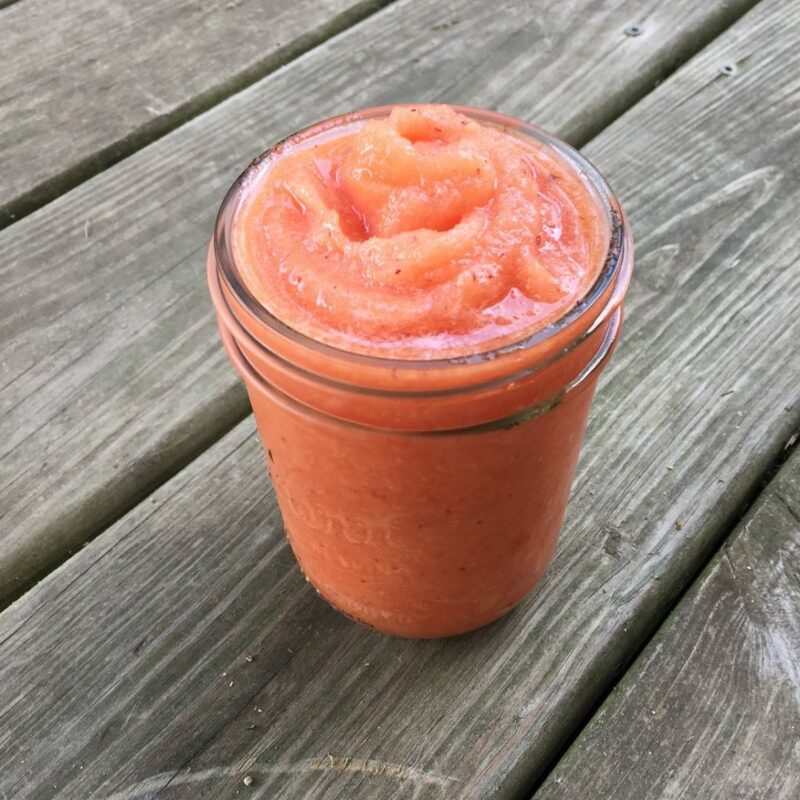 This Tropical Watermelon Gin Slush recipe from Build Your Bite is so delicious, I don’t know how I ever lived without it. But, I’m getting ahead of myself (maybe it’s the gin talking 😉). Lets start at the beginning. As easy as this recipe is, you might want to plan ahead a little for this one. 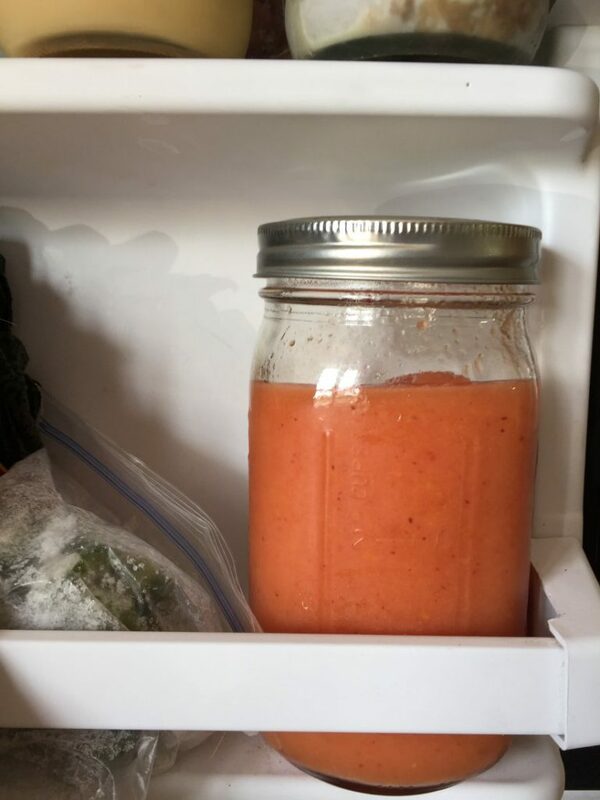 Make sure to buy your ingredients far enough in advance that you can freeze things if you can’t find fruit that is already frozen. 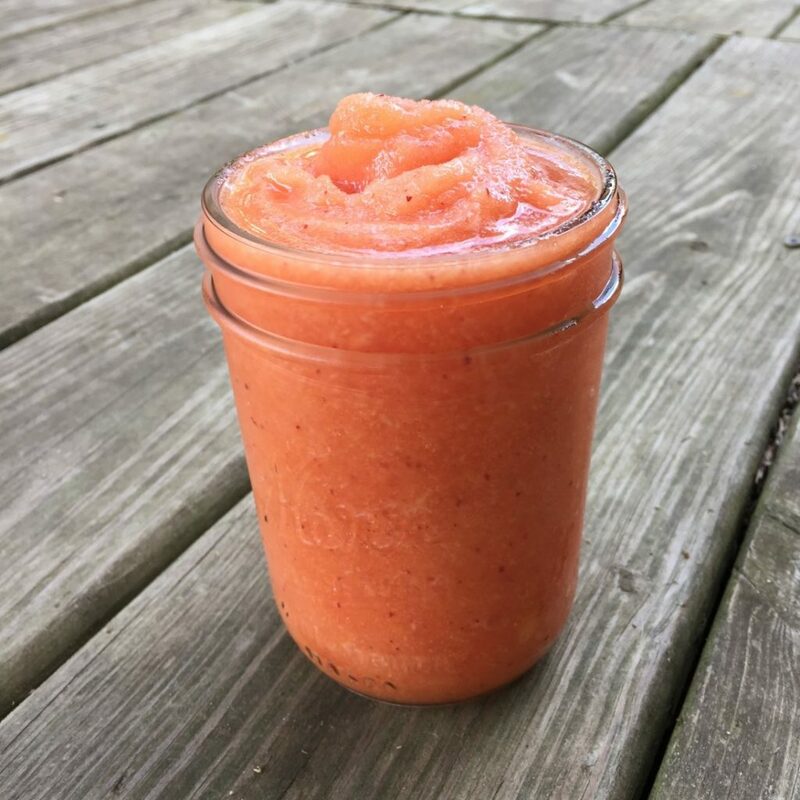 I was not able to find frozen mango, peach, or watermelon in any of my local stores so I had to get regular ones and freeze them myself. The recipe doesn’t really say anything about this part, so maybe some of you can get this stuff already frozen. 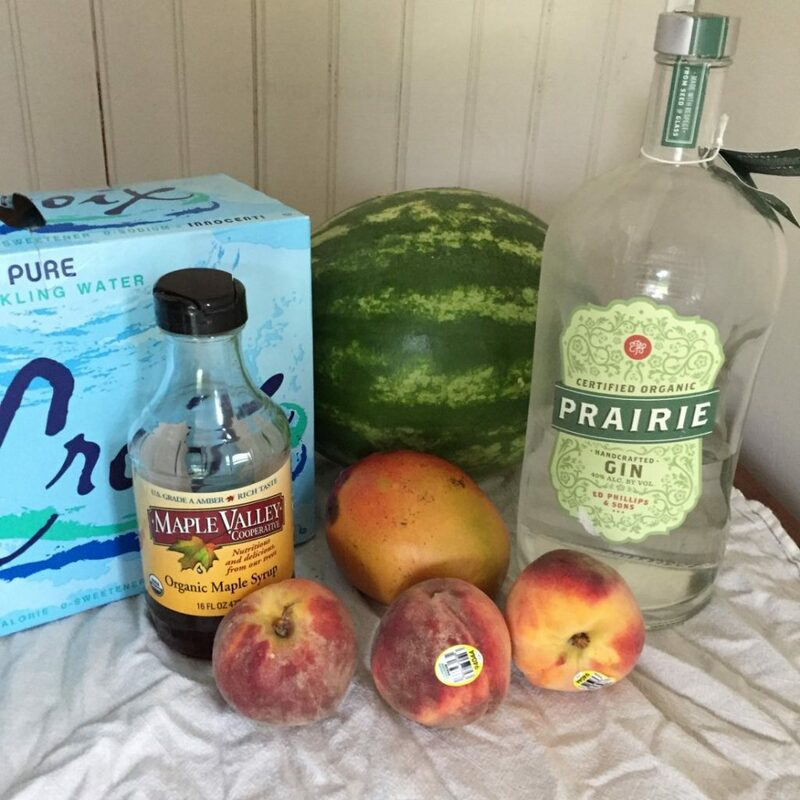 The other ingredients are pretty simple; sparkling water, gin, ice, and of course, maple syrup. I decided to go with our Amber & Rich syrup for this recipe because I wanted the syrup to just sweeten and let its flavor take a back seat to the tasty fruit and gin. Cutting up the fruit and freezing it was a pretty simple process. I just guesstimated the quantities and tried to get close to what the recipe said. I ended up with a little more than the quantity called for but it didn’t seem to have a negative effect on the final product. Also, I don’t know how much accounting for air space there is in something like 1/2 a cup of frozen peach. Most of my fruit was a little bit too ripe, but I thought that it made it even more perfect for the application. I was going to be adding alcohol after all. I would also recommend freezing your fruit on a tray because mine ended up as one huge ice cube when I froze them in a bowl. 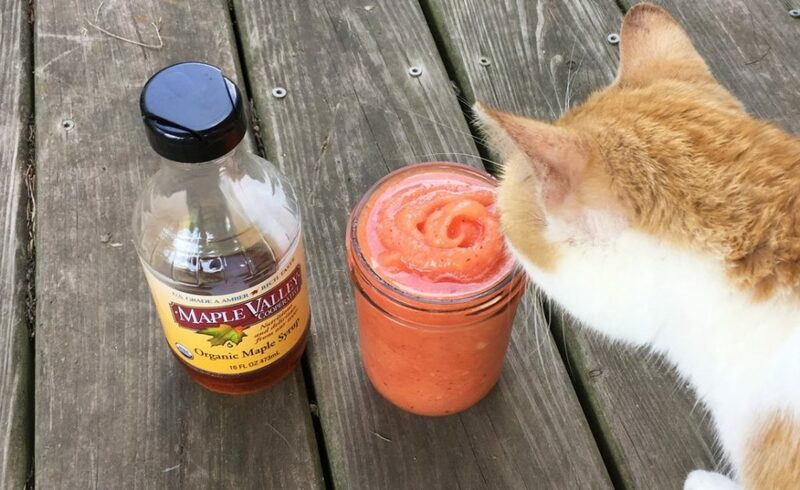 Blending everything up was pretty straight forward – just toss it in, put on a lid, and hit blend! As you can see in the video, I had some trouble with a huge chunk of fruit that wouldn’t break up. It took a good amount of blending and breaking up by hand, but I finally got most of it to blend in. There was still a chunk in there when I poured a glass, but I just went back and blended more. I am making this again without a doubt. 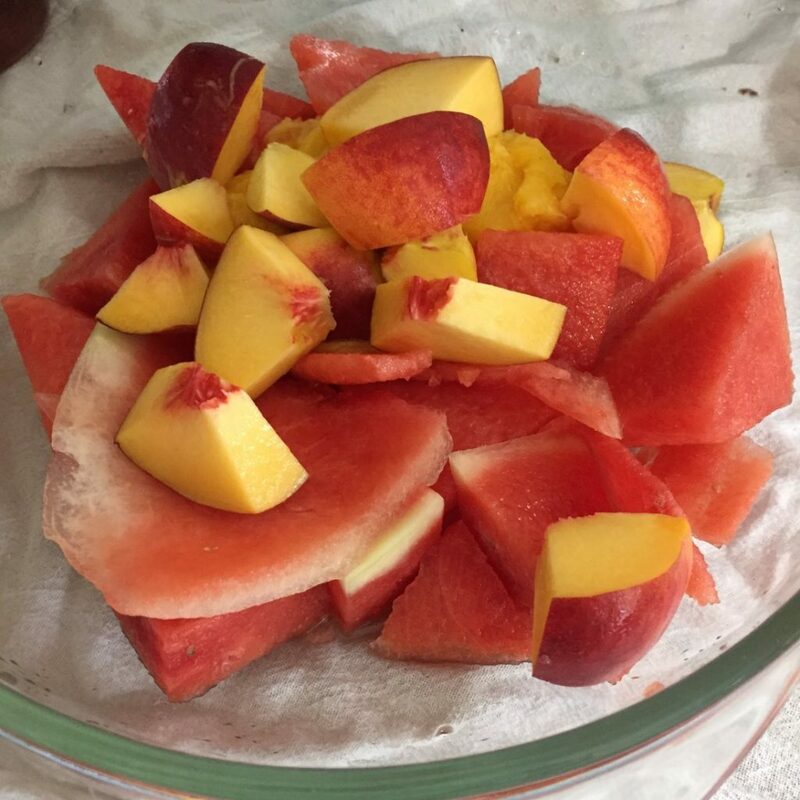 Because there was so much fruit it was very smooth and easy to drink. Next time I might try it with different fruit and see what I come up with! There was more than I wanted to drink by myself, so I put the leftovers in the freezer to blend another time. Hopefully it will still taste as good next time. So seriously! Try this one at your next get together, before it gets too cold! You will love it!